A brand new TIE fighter races across the desert and Rey’s saber ignites. Gloved hands steady on the the yoke of a ship. Kylo Ren? Poe? It’s not clear as this could even be clever editing, splicing in a shot from a separate scene in the movie. Rey glances back and begins her run. The pacing of the exercise is almost too methodical to be an actual battle, which leads me to believe this may actually just be a training exercise, with perhaps Poe rather than Kylo in the cockpit. A fur-covered welder patches up Kylo Ren’s helmet. Could this be Chewbacca? Then we get a close up of a character (probably Leia) holding one of the medals of bravery given to the heroes after the Battle of Yavin (probably Han’s). Finally, we have one of the most intriguing shots of the teaser as our heroes look on at the wreckage of what appears to be the Death Star II from Return of the Jedi. In the distance, you can clearly see the distinct shape of the dish for the Death Star’s superlaser rising up out of the water. It stands to reason then that the heroes have found their way to the forest moon of Endor. At first glance, the scene looks nothing like what we’ve seen of Endor, but don’t miss the ocean for the trees. In the shot from RotJ (below), you can clearly see water on the moon’s surface, so there’s really no doubt that this is Endor in my mind. The bigger question is why are they there? 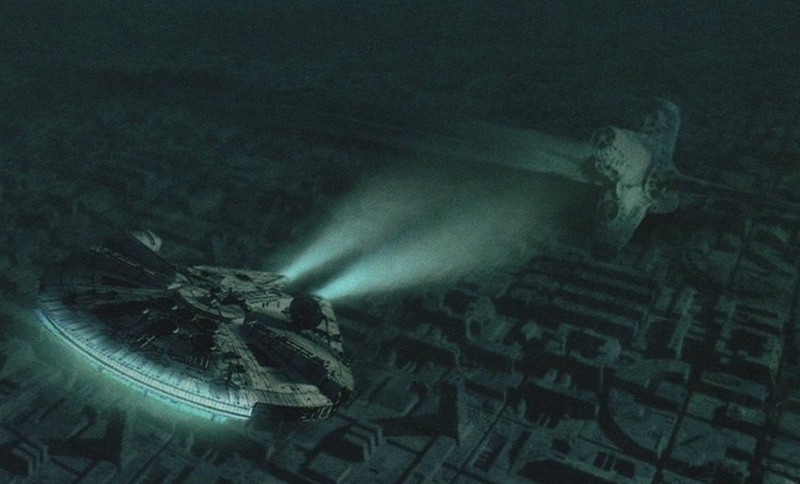 Some form of answer may actually be found in an early concept for The Force Awakens. This one dates back to when Rey was known only as “Kira”, and features the character searching for something in the Emperor’s throne room in the underwater wreckage of the Death Star. Concept artist Doug Chiang explains in Phil Szostak’s book The Art of Star Wars: The Force Awakens that the concept involved the Falcon going underwater to the Emperor’s tower (below). But what could our heroes possibly find there? Time will tell. “Wait, what? 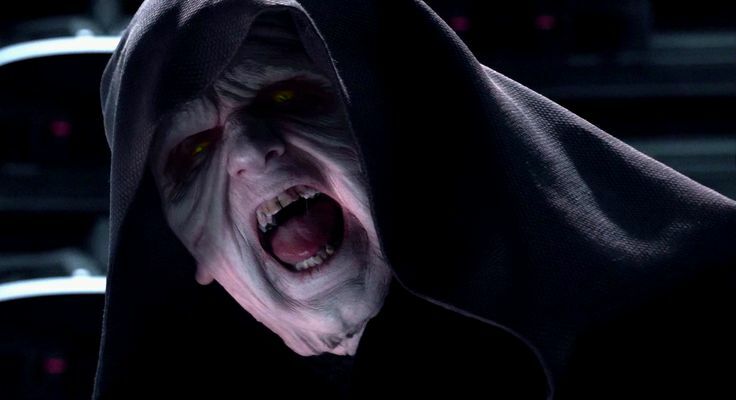 !” seems to be the general consensus among Star Wars fans watching the trailer at the not so subtle hint of the return of Darth Sidious. As shocking as it was though, we shouldn’t really be that surprised, comic and book readers especially. 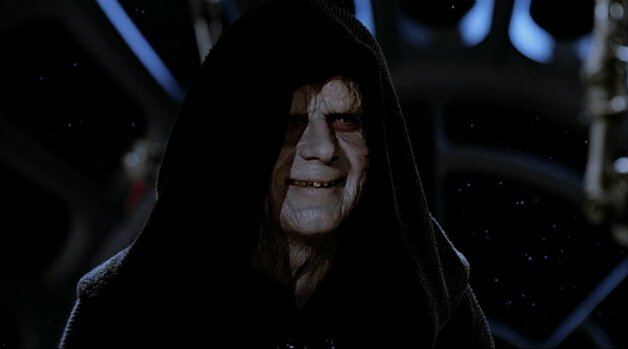 Honestly, they’ve been building to this for a long time in multiple stories outside of the films themselves, and the more I think about it, the more I realize that old Sheev’s comeback was inevitable. 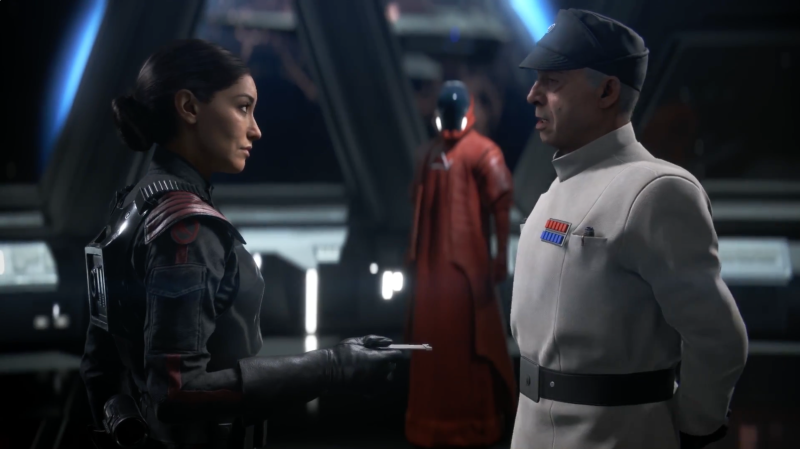 For starters, you have both the Aftermath trilogy of books by Chuck Wendig and the campaign story for the video game Star Wars: Battlefront II working together to tell us how Palpatine had set up a contingency plan to destroy both the Empire and his enemies in the event of his death. In the Thrawn novel by Timothy Zahn, the Emperor works with the Chiss Grand Admiral to explore the Unknown Regions of the galaxy in effort to prepare for the future of his Empire. The contingency plan hinged around Palpatine’s view that an Empire that could not protect its Emperor was not worthy to continue. 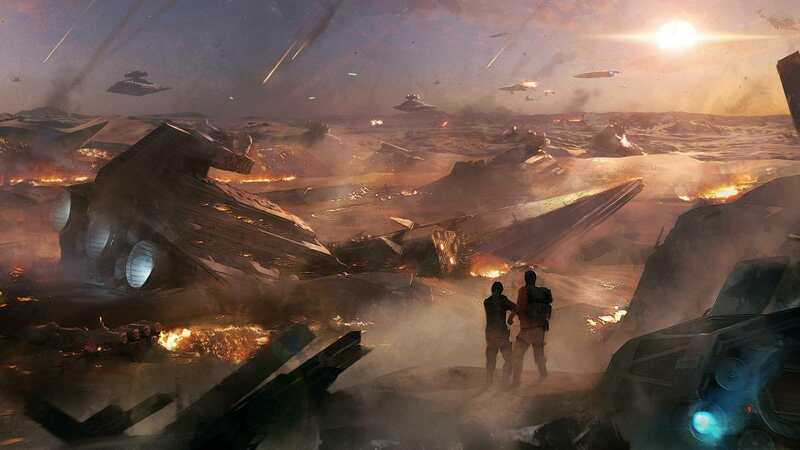 At the Battle of Jakku, the Emperor’s plan proceeded in an attempt to destroy the planet, taking the Empire and its enemies down simultaneously. The New Republic thwarted this effort, but the other part of the contingency continued as planned with the remnants of the Empire fleeing into the Unknown Regions to rebuild and continue his legacy. And there you have it, the birth of the First Order. But then, what good is a new Empire without an Emperor. Sure, there was Snoke, but as we saw in The Last Jedi, however powerful he may have been, he might not have been as much of a threat as we thought. So who is left to fill the void? Kylo Ren? General Hux? How about the guy who learned everything about the dark path to immortality from his own master before killing him in his sleep? What about the guy who single-handedly led two galaxy-wide forces into war with one another just to maneuver himself into the seat of unlimited authority? Or the guy who may or may not have manipulated the dark side of the Force to create the most powerful Force-sensitive individual to have ever lived? Yeah, it basically has to be Palpatine. He is virtually the face of evil in the Star Wars universe and he has no intentions of letting someone else steal his thunder, even in death. Lastly, we finally have the title reveal for Episode IX, which had absolutely nothing to say about “hope” or “the Force” like many were anticipating. The title, The Rise of Skywalker, seemed to catch a lot of people by surprise, and honestly, I think it’s a perfect title. We all know George Lucas loved his poetic symmetry and this title accomplishes multiple things on that level while still adding mystery and maintaining ambiguity surrounding the film’s premise. For starters, it keeps the alliteration going with the other third act movie titles in the Star Wars saga (Revenge, Return, Rise). And, like the other sequel trilogy films, it begins with “The”, fitting in nicely next to The Force Awakens and The Last Jedi. Underneath the aesthetic appeal, however, is a deeper meaning that we haven’t even begun to understand. What does it all mean?! 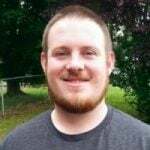 Is Luke rising from the dead? Is Rey indeed a Skywalker, unlike what we were led to believe in The Last Jedi? Or is Skywalker, more than a name, and the title symbolically refers to the continued legacy that is associated with the name? Perhaps the title even refers to Kylo Ren, and the Skywalker legacy living on through a post-redemption version of Ben Solo. Heck, maybe Anakin even makes a return. While some explanations may be a little more of a stretch than others, anything is possible at this point. The speculation train has left the station, so be sure to share your thoughts and speculations in the comments below!